Postage stamps are one of the most collected items in the world. However, they are also considered as the most faked, regummed and counterfeited items. The following are basic tips and advice to know which is fake and which is not. First things first, what does it mean when a stamp is said to have been regummed? A regummed stamp basically means that the stamp no longer contains gum in its one hundred percent original content. A gum is said to have been original when the gum is produced from the United States postal authority or any other official postal authority such as Newfoundland or Canada. The instance a particular individual has applied his own gum blend to the stamp’s back is the instance wherein the stamp is considered as officially regummed. Regumming is made to stamps to make it appear better and enhanced, therefore further increasing the stamp’s value. Frau occurs when a particular collector buys a stamp and was informed that the stamp has an original gum, but is really a re-gummed one. How to know which is which? The most easy and convenient way to detect which gum is original and which is counterfeit is by simply comparing an original gum from a regummed one. Try to take note of the following. A regummed stamp has a textured and dull appearance with a little inconsistencies in the thickness of the gum or when it is reflected in the light. Also, there are stamps that have been regummed and appear to have a surface that is glossy. The same appearance holds with stamps that are imperforated. A stamp that contains a watermark can be easily seen on a stamp that has been regummed. Meanwhile, a stamp that was originally gummed has a watermark that could only be seen when the stamp is dipped in a tray of watermark using fluid for watermark. In the absence of such a fluid, the watermark in an original gum could also be seen when the stamp is put up to a light that is very strong. Observe, try to notice if the watermark seems to have been impressed in the gum. If so, start to be suspicious. Another tip is that a stamp that has been regummed will most likely curl if it is placed down with its face on the hand’s palm. A stamp that has been originally gummed will not do that. One sure sign that a stamp has been regummed is to check on the stamps tips. If the perforation feels sharp, it surely has been regummed. Usually, an originally gummed stamp will feel soft. Fortunately or unfortunately, a good regummer still has a way to fake it. What he usually does is that he will try to file patiently down the tips of the perf in order to make them soft. The only way to effectively differentiate this is via looking through them under a strong magnifying glass. Another clue to know a regum from an original is to check and see if the gum extends well into the holes of the perforation. This situation never occurs in an original because the perforation is done after applying the gum. However, a regummer still has a way to fake it via filing out the perforated holes in order to eliminate any gum that are in excess. But most likely, they will almost always miss a spot. Believe it or not, these types of stamps are prevalent than most collectors think. This basically means that a perforation has been done privately by an individual and not officially by the United States Postal Service. Why do individuals do it then? This is done in order to increase the stamp’s value. 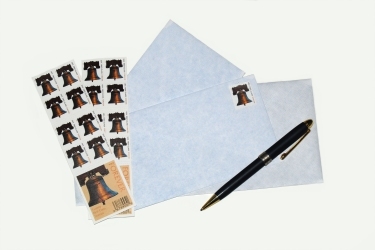 Stamps that were perforated officially have holes that are shaped in oval form and are cut less cleanly than perforations done privately. When seen closely, perforations that are originally done have little paper tufts that extend to the holes. All in all, stamp collecting – contrary to popular belief – is a challenging and an adventurous hobby. It requires diligence, patience, perseverance and a lot of passion. That is if you know what to look for and how. Our section here on the site will show you how to start stamp collecting so that you will have fun, not pay too much for your stamps (or how to get them free)along with tips for how to know the value of your stamps if you decide to trade and sell stamps. Stamp collecting is fun and affordable, for you, your kids and your friends. I have had many years of pleasure from my stamp collection. Do you collect stamps? Would you like to share your story with us here? To do so, just click the COMMENTS LINK below and you will be able to type your comment in the box that opens up. Join in and write your own page! It's easy to do. How? Simply click here to return to Hobbies & Collecting.